The newly announced Samsung flagship devices, the Galaxy S6 edge+ and the Galaxy Note5, were engineered to be as power-efficient as they are beautifully designed. Each has a 5.7-inch screen optimized to display an even more advanced multimedia UX and productivity capabilities. To enjoy these devices to the fullest, each are equipped with better batteries with faster charging speeds. Each device houses a 3,000mAh battery, more than ten percent larger compared to the Galaxy S6 (2,550mAh) and the Galaxy S6 edge (2,600mAh). 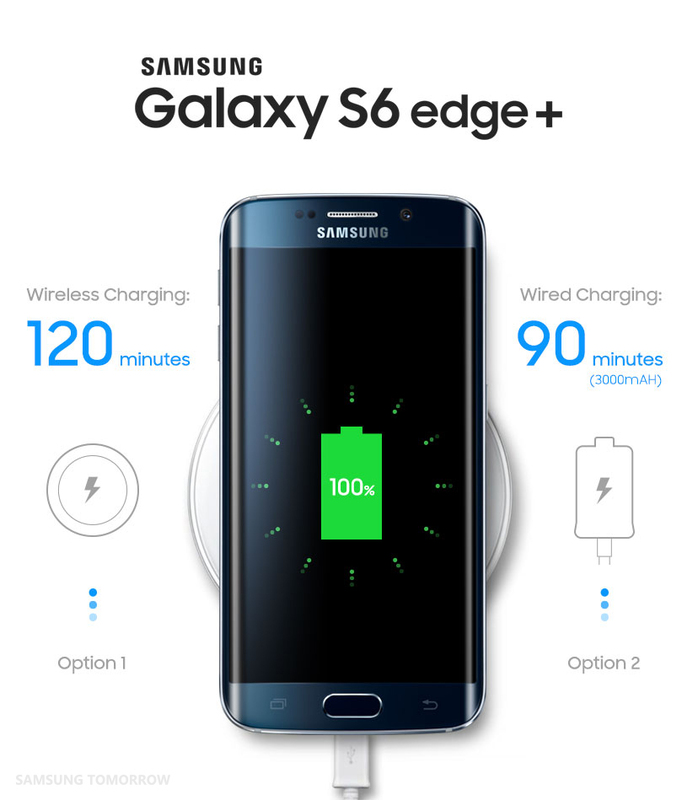 In addition, both products have faster wired and wireless battery charging compared to the Galaxy S6. Thanks to this new technology, both products feature the simplest and most convenient battery charging experience, allowing user to enjoy multimedia or complete multiple tasks, longer. Building upon the fast wired-charging of the Galaxy S6 and the Galaxy S6 edge, Samsung improved the efficiency even more. Samsung created AFC (Adaptive Fast Charging), which speeds up wired charging and lets the battery charger communicate with the smartphone. If the charger finds a device compatible with AFC, it will start recharging the phone’s battery using higher voltage. Not only is the charger discharging more power at a faster speed, the device battery receives the power properly and stores it cell by cell, to further accelerate the battery charging. Thanks to AFC, the Galaxy S6 edge+ and the Galaxy Note5 take only about 90 minutes to reach full charge. This indicates even greater efficiency in charging compared to the Galaxy S6 edge, which takes about 85 minutes to fully charge a smaller battery. Wireless charging also offers significant improvements in speed. 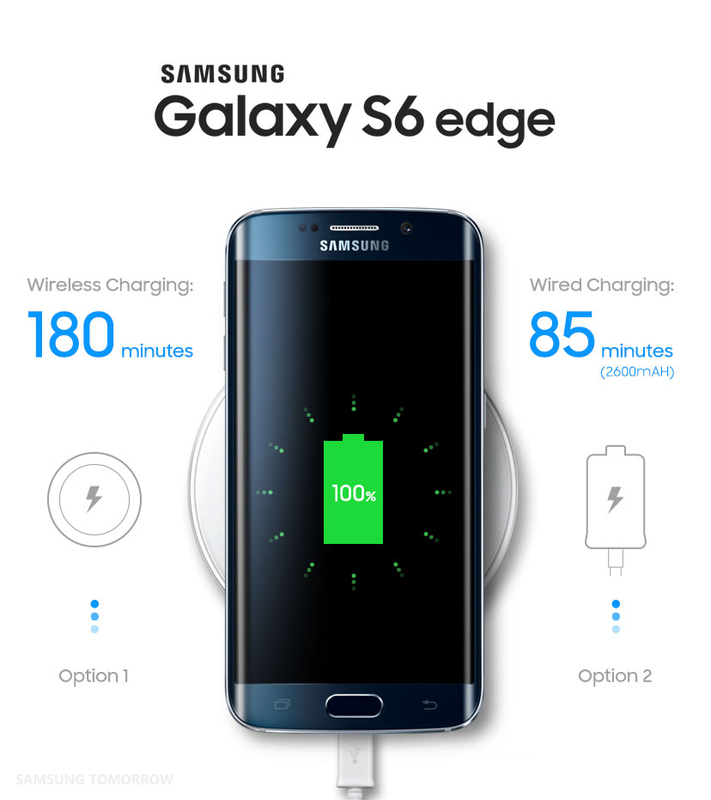 While the Galaxy S6 edge required 180 minutes to fully charge wirelessly, the Galaxy S6 edge+ and the Galaxy Note5 need only 120 minutes (one hour less) using Samsung’s new wireless charging pad. Both products have built-in wireless technology, just as the Galaxy S6 and the Galaxy S6 edge do, freeing users from the need to purchase separate wireless charging battery covers or individual connectors. Additionally, they allow you to enjoy the experience of wireless charging without worrying about compatibility. They support both WPC (Wireless Power Consortium) and PMA (Power Matters Alliance) certified standards, the two most widely used wireless power standards around the world. 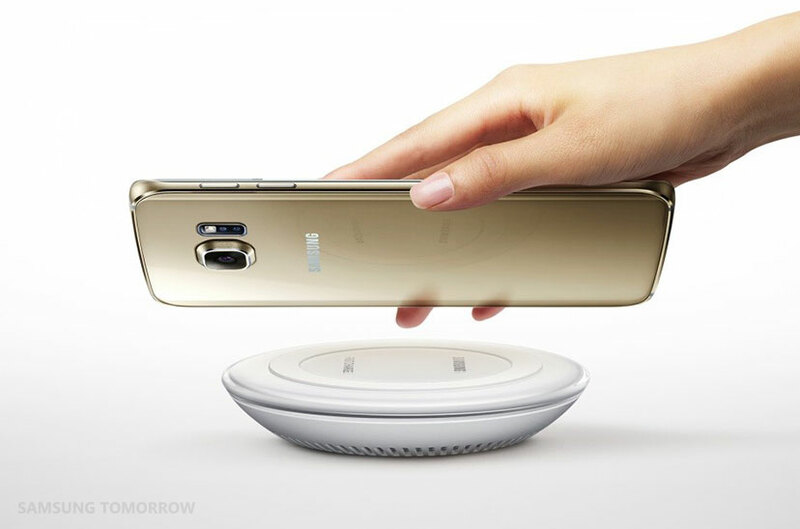 Samsung is the first to make devices compatible with both WPC and PMA charging pads. The innovative advances made it possible in the two latest large-screen products, even with a thinner body. 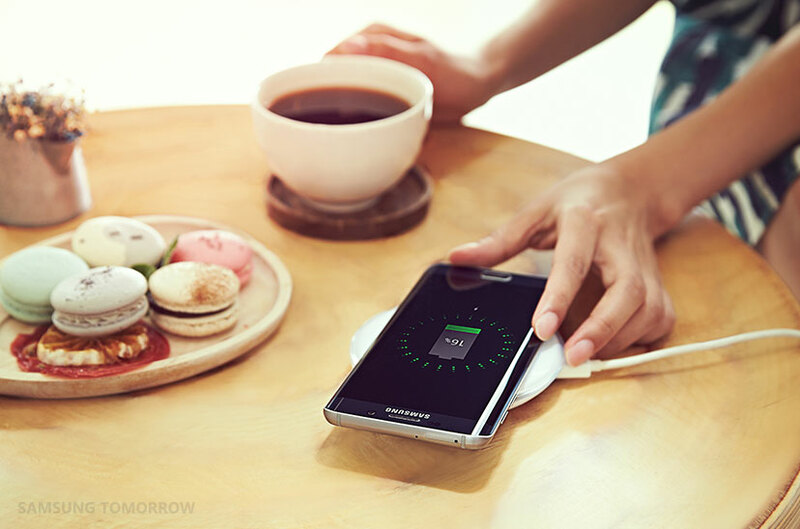 Built-in wireless charging in thin devices became possible only through Samsung’s relentless efforts to continue pushing the boundaries of technology. Because WPC and PMA have different frequency bandwidths, Samsung’s developers had to find a way to satisfy both, with high efficiency. To accomplish this, they designed a new integrated IC for wireless charging, combining two different materials for magnetic shielding required in the wireless charging components to enable hybrid use. Users have the ability to manage and control their battery usage in a simple and convenient way through Smart Manager, introduced with the release of the Galaxy S6 and the Galaxy S6 edge. With this app, users can see which running apps are consuming the most power. Samsung continues to lead mobile innovation by introducing technologies that are accessible and meaningful to all mobile users.